Made a difference, didn’t he? As another transfer window draws to a close, Arsenal supporters feel a great kinship with those poor bastards who waited for Godot. But why the angst? Why the impending sense of doom surrounding the increasing likelihood that no new signings will arrive? (Make that “actual” new signings. 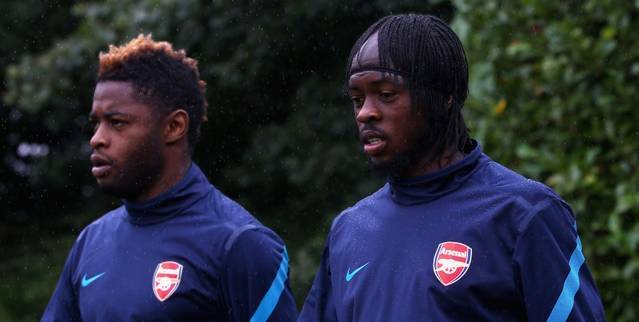 Gervinho is text-book “like a new signing” when he returns from the African Cup of Nations.) Why is it that many supporters lack faith in the ability of the players already at the club to achieve our goals? The answer, I would suggest, is the law of diminishing returns and a growing frustration with the reality of diminished expectations. It wasn’t so long ago that Arsenal supporters entered any season believing that all the pots could be won. No trophy was beyond our reach. Arsenal lifted Premier League trophies and FA Cup trophies, and while we failed to bring home that beautiful beast with the big ears, we had plenty of seasons where we looked like having a chance at lifting her. But today, Arsenal’s Champions League ambitions are ruled out by many as a joke. I’ve often heard the competition referred to as one we only hope to qualify for without any real ambition of winning. When it comes to domestic competitions, the picture is almost more bleak. For consecutive seasons the teams at the top of the Premier League have vanished in the distance before the new year. Cup competitions have provided no solace. We’ve suffered FA Cup disappointments and League Cup debacles. All-in-all, the question of what Arsenal Football Club represents has become murkier over the past few seasons. While revenues have skyrocketed and Arsenal have climbed Forbes’ oft-cited “rich list,” the caliber of players and ambitions at Arsenal have plummeted. I could delve into the question of why this has happened but it’s well traveled ground at this point and I’d likely get all the facts wrong. But I can suggest what I think has happened as a result of the deterioration. That’s why the transfer window has become such an important and contentious subject among supporters. This is a time when the Club can substantiate claims of ambitiousness. The argument among supporters has become reductive. There are those that believe Arsenal can finish fourth with the current squad. Others suggest that additions are necessary for a top four finish. But I think the real source of frustration stems from a deeper desire for the club to do something that demonstrates a level of ambition that goes beyond qualifying for a competition we can’t win. The supporters who steadfastly defend the policies of the club and the quality of the side, are those that have accepted Champions League qualification as the metric by which the club’s success should be measured. Those that are hoping for reinforcements, like myself, have become impatient with excuses about “living within our means.” I no longer accept the argument that we cannot compete financially because the evidence is there that we are not using all the resources at our disposal. What I realize now is that I don’t want new signings because I want Arsenal to finish in the top four. I want new signings because I want reason to believe that the underwhelming Groundhog’s Day season that Arsenal appear to keep repeating is coming to an end. I want evidence that we will use signings, not to replace departing superstars, but as a way of enhancing the quality that is already in the side. We tend to think of Arsenal’s days of challenging for titles as some kind of distant memory. But that’s not really the case. In 2009-2010, Arsenal were top of the table after 31 games. In 2010-2011, Arsenal were in 2nd place for most of March and April with the top spot in sight. But after that season we lost Cesc Fabregas and Samri Nasri and never looked like competing for a title. After last season we lost van Persie and Alex Song and despite a few solid additions, look further from a title than ever. Clubs win titles with a few star players and depth at key positions. At this point, Arsenal are lacking in both characteristics and the result is plain to see. We need signings because we need to replenish the depth of talent that has eroded over the past few seasons and we need a big name signing because Arsenal has become a club without a star. While there is no question that a player like Jack Wilshere can become a superstar at Arsenal, we currently do not have anyone of the caliber of Bergkamp, Henry, Fabregas, or van Persie. I realize those players aren’t easy to come by. And I realize that modern football requires you to pay a hefty sum to bring them to your club. But that’s what is required at Arsenal if we want to demonstrate that there is more to us than a race to be the fourth best club in England. Which brings us to another sad legacy of our recent decline. In search of reasons to be proud of our club, we’ve resorted to quoting figures off a balance sheet. What happened to just being a fan of football and enjoying what happens on the pitch? What happened to wanting magical things for Arsenal? Instead of hoping that the best players come play for our club, we’ve been left to opine on FFP and argue about whether David Villa is worth more than 8 million Pounds. Frankly it’s a bit sad. I don’t care what he’s worth and I don’t really care whether he makes sense financially. That’s for other minds to toil over. I think he’s a brilliant player of magnificent pedigree and I’d enjoy seeing him in an Arsenal shirt. I’m not suggesting that the club bankrupt itself in search of glory. (We’re far from doing that.) But I am suggesting that fans have never been forced to be so obsessed with a club’s finances before. It’s only in search of excuses that we cling to financial analysis. This transfer window isn’t about whether Arsenal have a team that can compete for fourth place. It is about the identity of the club. Even if we finish fourth at the end of this season, what does that guarantee us but another season just like the last? If we fail to sign anyone this window then we are acknowledging that scratching and clawing to finish fourth in the Premier League is sufficient. It’s the club saying to the supporters that winning the Champions League, despite the fact that we are still in the competition, isn’t really a priority. It’s a ratification of our new place in English football, where Arsenal are not taken seriously as being among the best. Many will read this and write it off. Some will say that we don’t need to make statements in this window. We can do it in the summer. Of course, if we don’t do it in the summer, we can always do it some undefined time after that. Unfortunately, we’ve all been put in the position of making excuses for the club and apologizing for the club’s negligence recently. We’ve all found ourselves at one time or another, writing off Alex Song as “expendable,” or defending RVP’s sale as “necessary,” or blaming Cesc for holding us “ransom.” But the sad reality is that the club has forced us to make those excuses for them. Either we make those excuses, or we accept the far worse conclusion that Arsenal, as a club, are slowly making the shift from an elite European side, to something a tier below that. And because we don’t want to believe or accept that possibility we make the excuses instead. We need big signings at Arsenal. We need them to reinvigorate the fans. We need them to compete at the top. We need them to re-establish our identity. And if we don’t get big signings, we may soon be taught a harsh lesson about the law of diminishing returns. 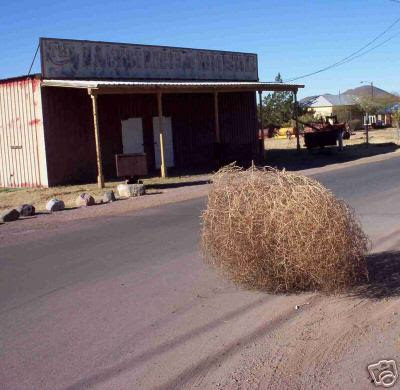 The transfer window has slammed shut. Although that might not be the correct way to describe it because “slamming” implies a loud and dramatic action. For Arsenals fans, the transfer window ended not with a bang, but with a whimper. Rather than droning on about the entire summer and wondering aloud about the season ahead and the future of the club, I’d rather just provide a reflection on what I consider the few big issues left unresolved as we enter September. It seems to me that when Arsenal have a plan for the transfer window, we tend to execute rather effectively. We were tipped off pretty early in the summer that Robin Van Persie would not be staying at the club. And we appeared prepared for that inevitability. We grabbed Podolski at the outset of the summer to show our intent, and added Giroud shortly after to soften the blow of losing our captain and primary goal-scorer. Regardless of whether you think we should have kept van Persie, and regardless of whether you think he was properly replaced, and regardless of whether you think he should’ve been sold elsewhere, we should be able to agree that Arsenal seemed to have a plan for dealing with his departure. They knew their targets, they got them early, and they sold van Persie. Case closed. Similarly, it seems clear that Arsene had a plan for the playmaker role vacated by Cesc the summer before. We lacked dynamism in midfield last season. Wenger wanted to address that this summer and he did it in style. Santi Cazorla was the signing of the summer in my opinion and proves, yet again, that when Arsene and Arsenal have a clear plan, they are capable of executing it with aplomb. That’s the good news from this summer. The bad news is that Arsenal don’t seem to know how to react when things don’t go the way they expect. We saw last summer just how panicked and disorganized the club can be when players make unexpected decisions. Our trolley dash during the last deadline day worked out in the long-run, arguably rescuing a top four place. But the start to last season was a direct result of the summer’s hilariously discouragingly bungled business. This summer we saw evidence of the same problems. Wenger knew RVP was off and he had a plan. He knew he needed to replace Cesc after a season without a midfield maestro and he did it brilliantly. But when Alex Song suddenly made his role at Arsenal untenable, familiar refrains from last summer could be heard once again. I realize that Arsene can never be taken at his word when discussing transfer plans, but I think this was a genuine statement by the manager. Use of the words “of course” suggests it was obvious to Arsene that you must buy a midfielder when you sell a midfielder who started almost every game the previous season and for whom you have no natural replacement in the squad. Say what you like about Diaby, Jack, Coquelin and Frimpong, but expecting any of them to fill the void left by Song is a bit of a leap of faith. Three of the four have serious injury concerns and the fourth (Coquelin) also has suffered terrible injuries during his young career. Moreover, none of them has extensive first team experience. Jack is the most talented player at the club, but it could still be quite some time before we see him firing on all cylinders again. Song, for all his failings, has extensive experience, a decent fitness record, and did happen to provide the most assists in the team last season. But the more remarkable thing about Song’s departure and the fact that he wasn’t replaced is that Alex Song, just 24 years of age, still had 3 years left on his deal with Arsenal. He didn’t have to be sold. Training ground tantrums and dodgy agents aside, Alex Song was a regular starter for Arsenal, healthy, at a good age, was on a very reasonable wage, and had 3 years left on his deal. You cannot sell such a player unless you have a clear plan for replacing him. Links to a loan move for Michael Essien on deadline day suggest that we had no such plan. Perhaps the plan was to bring in Sahin on loan from Real Madrid, but our decision not to match Liverpool’s offer (rightly or wrongly), eliminated that option. Had Arsenal bought a player like M’Villa or Capoue, you could argue that Song was sold for a healthy profit because he was a problem character and we had a clear plan for replacing him. But that’s not the case. We bought no one. We sold our most dependable midfielder over the past two seasons, for a healthy profit, and did not replace him with anyone except existing players who are untested or beset by injuries or both. And we did that despite the manager saying that we would “of course add one more midfielder.” It seems to me that selling Alex Song was not part of this summer’s plan and that is borne out by the club’s failure to replace him. That brings me to the other hugely unexpected development of the summer: Theo Walcott’s contract situation. The transfer window is now closed and Theo Walcott is 10 months away from leaving Arsenal for nothing. Bought at a young age for a healthy fee, Walcott was earmarked for stardom at Arsenal. We put time and energy and resources into developing him and put up with quite a few injury riddled seasons and frustrating performances along the way. But lately there have been glimpses of the player he can become. Last season he played big in big games and he was second on the team in goals and assists. So when we lost van Persie this summer and subsequently lost Song, it became increasingly important that we re-sign Theo Walcott. For a club to succeed it needs some degree of continuity and losing Theo would’ve been one-too-many key departures in one summer, especially after suffering a few the summer before. As important as it was to sign Theo, there was also the realization that if he didn’t sign, he might need to be sold. Unlike Alex Song, there are players in the squad who can do many of the things Theo already does, and some would argue that the other options are even more appealing. Regardless of your opinion on the latter point, it would be unthinkable to allow Theo to leave the club for free next summer. An English international with huge marketability, in his early 20s, and who Lionel Messi once described as a “one of the most dangerous players in the world,” would surely command a sizable fee that could be effectively re-invested in the squad. If Theo wouldn’t re-sign, he would have to be sold. Except Theo wasn’t sold. And he didn’t re-sign. Once again the club seemed to panic in the face of an unexpected and challenging decision and allowed the window to close without resolving Theo’s contract situation conclusively. Again, this was at odds with Arsene’s statement that Theo’s situation would be sorted out “one way or the other” before the window closed. Just a few days later, the lack of resolution had Arsene declaring Theo’s love for the club and his disregard for money. I’d guess that even the manager himself doesn’t believe that line of reasoning. We’ve seen what players value time and again. 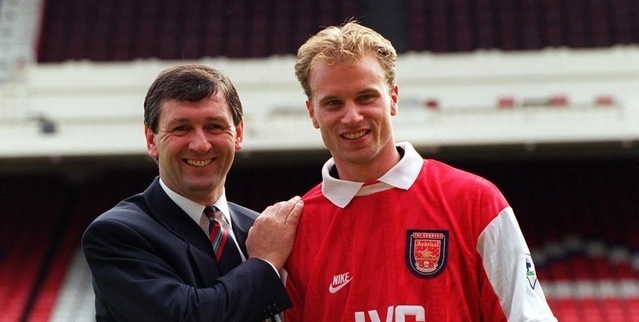 Regardless of who they supported as a child, or how much Mr. Wenger did for their career, or how patient the club was with their development, we’ve seen player after player choose money over loyalty. And now Theo Walcott is in a position to make a huge financial gain next summer at the expense of our great club. He can leave on a lucrative Bosman and leave Arsenal holding nothing but the bill for his time on the treatment table and the balls that had to be purchased when his wayward training-ground crosses left London Colney. Now the real fun begins. Because Theo will likely spend the rest of this season playing out the last year of his deal. Every press conference will feature questions about his contract status and whether he’s leaving in the summer. Every time he pulls out of a 50/50 challenge there’ll be questions about his motivation. Every time he’s on the bench there’ll be stories that he’s become a problem in the dressing room. And even though it might all be rubbish, it will still be a very unwanted distraction. Furthermore, considering the board’s clear intention to make a profit off transfers every summer, losing Theo for free next summer just means that we’ll be roughly 20 million Pounds worse off in next summer’s market. Something to consider when you ask whether it was worth keeping him this season regardless of his contract status. It’s a lousy situation and one that I don’t think the club was prepared for. I’m guessing that Arsenal genuinely believed Theo would re-sign before the window shut. Perhaps they also expected to have plenty of offers for the winger in case the contract talks broke down. But neither seemed to happen and there was no contingency. Ultimately, letting Theo start the season unsigned just gives him all the power and seems to further prove that the club does not fare well when faced with an unexpected circumstance. In final adjudication I think you’d have to say that Arsenal get a passing grade for this transfer window, but just barely. Maybe. The club once again made a profit on transfers and we now have a clear indication that profiting from transfers is an annual requirement. So we have to accept that even though none of us will like it. Arsene signed three very good players, one of whom was the buy of the summer. We do have some players returning from longterm injuries and that will bolster the squad. We also managed to move out some of the so-called “deadwood,” even if most of the moves were merely loans. But we also lost two of our biggest contributors from one season ago. Again. We sold our captain and talisman to one of our most hated rivals and have already had to suffer through seeing him score a goal of top quality while we have failed to tally in two matches. And we allowed a valuable asset to start the season in the final year of his contract. All of which is enough to make you sick to your stomach. Wenger is a genius. He’s a master of making the most out of limited resources. But some of the “resources” he’s working with are “limited” because of his decisions. Last season we were cut adrift from the title contenders and were relatively fortunate to finish in the Champions League places. We were out of the Champions League after the first knockout round. And we were eliminated from the FA Cup by an unimpressive Sunderland. This season we all hope to improve on those results. So the important question is whether the squad is stronger. But not just stronger. Significantly stronger. Because last season’s team was significantly short of winning anything and will need more than marginal improvement if we expect to lift a trophy or two or three. Is a team that lost van Persie and Song, Signed Podolski, Giroud and Cazorla, and saw Jack Wilshere and Abou Diaby return from season-long injuries stronger? I actually believe that it is. Is it “significantly stronger?” That’s where I’m not so sure. As always, we’ll keep hope alive. I believe this can be a special year, but I also believe that it would’ve been much easier for it to be a special year had Arsenal coped with this summer’s business a bit better. Now that the window is closed, we can hopefully stop talking about who isn’t at the club and get behind the players wearing the Arsenal shirt this season. That starts on Sunday at Anfield. Is this summer’s business the equation for success? The season is upon us. Once again we are debating ins and outs, rather than settling on our best XI to face Sunderland at the Emirates this Saturday. It’s frustrating but it’s the way of modern football. The timing of the transfer window is such that the start of the season practically takes a back seat to player movement until Jim White screeches out his last updates on Sky Sports at the end of August. But in spite of the rumors and the speculation, there is a game to play on Saturday and those three points count just as much as the ones in May. So the most important question now is whether we are ready for the real games to begin. It’s impossible to examine the state of the squad without first addressing the ghastly transfer of our captain and talisman to our hated rival. Robin van Persie has carried on the rather upsetting new tradition of Arsenal captains departing the club under a cloud. We’ve seen our fair share of ugly transfers over the past few summers but I’d suggest this one has the foulest stench of them all. I think it’s important to be honest when analyzing the ramifications of van Persie’s move to Old Trafford. There’s so much hypocrisy surrounding fan reaction to his sale and that has invariably obscured the important issues. So let’s make this simple. If you were calling Robin van Persie one of the best strikers in the world in April, you cannot take the position that losing him to Manchester United is trivial. I’ve read so many articles, blogs and tweets praising van Persie’s sale as “good business,” but I’m not sure I have a clue what that means. Looking at our “good business” in the cold light of day, we have sold our best player to a club that we desperately want to overhaul in the table this season. How does that help us? I’ll acknowledge that 24 million pounds is a good fee. There’s no argument there. But as Arsene himself points out, we have strengthened our rival. What he did not address is what this means for our squad. While there’s reason for great hope, the loss of van Persie is a blow. The way you make up a 19 point gap is by adding excellent players to your squad, not by signing excellent players to replace even better players. It’s easy to say that we are stronger because the additions of Podolski, Giroud and Cazorla offset the loss of van Persie. That’s true. I believe that we are, at this moment, stronger than we were at the end of last season. But that’s not really the point. We were not a whisker away from being champions last season. We were cut adrift from the title chase nearly from the start. More than modest improvement was required if we hoped to change that. Sending 30 league goals and 8 league assists to a club that finished 19 points ahead of us is not the blueprint for leapfrogging them. Now I don’t want people to think I’ve lost the plot. Van Persie was always leaving this summer. That much was clear when he made his ill-advised statement. But we have to be honest in appraising the impact of this move. Suggestions that he will never have a season like last season are irrelevant. He may not score 30 and assist 8 for United, but he is one of the finest strikers in the world. Last season was an anomaly for him statistically, but not in terms of his quality. Injuries have blighted Robin’s career, but when he’s on the pitch he plays phenomenal football. He only started 19 Premier League games in 2010/11 but he managed 18 goals and 7 assists. The season before he started 14 times in the league and notched 9 goals and 7 assists. And those are just the statistics. His movement, first touch and distribution are a perfect fit for our style of play. We will miss all of that. Not because our new signings aren’t any good, but because you will always miss a world class player when they leave your squad. And as far as United are concerned, van Persie may well break down for them the way he has so many times for Arsenal. But when he is on the pitch for them, he’s going to make them a much more potent side. That’s reality. So van Persie is gone and we will miss his quality. But I think we can be significantly better without him if other factors work in our favor. Naturally, our three new marquee signings all have to integrate effectively and relatively quickly. Last season our attack was remarkably dependent on van Persie’s contributions. At times it looked like the team was standing around waiting for him to do something special. That won’t be the case this season. When Henry left, other players stepped up to fill the void. Hopefully we will see something similar with van Persie’s departure. We particularly struggled to create anything from midfield last season. Santi Cazorla should change that. While I will readily admit I’m no expert on the spaniard, I’ve read enough about him to know that he brings qualities to our midfield that were in short supply after Cesc left for Barcelona. If he starts picking passes the way our previous spanish playmaker did, then there will be more chances created for our attacking trident. Rather than relying on individual brilliance to get us goals, Podolski, Gervinho, Giroud and Theo should all be the beneficiaries of more clear-cut scoring chances. With better chances being created, it may be easier to replace the Rotten Dutchman’s goals than critics would suggest. Abou Diaby has made it through an entire pre-season without losing any limbs. He’s far from the legend that his absence has made him in some circles, but he can dribble past a defender and score goals when the chances fall to him. Jack Wilshere is the most talented player at the club and his eventual return this fall will improve our midfield in almost every category. Finally, I think you can consider Alex Oxlade-Chamberlain almost like a new signing this summer because it looks as though the manager will now utilize him in central midfield. His pace, dribbling skills, vision and finishing will terrorize defenders and while his age suggests that he will be inconsistent, he definitely adds another goal-creating and goal-scoring threat to our previously threadbare midfield corps. All things considered, the midfield looks far better now than it did at the end of last season and there’s still the suggestion that another player or two could be brought in. But that brings us to the next seemingly inevitable departure. What to say about Alex Song? He’s a polarizing figure to say the least. I think he’s become a scapegoat for what was wrong with the team last season and much of the criticism levied at him strikes me as unfair. In a season where our midfield play almost always failed to inspire, Alex Song lead the team with 11 assists. Not only did he provide assists, but he often provided key assists when it looked as though we wouldn’t find a way through the opposition defense. He showed flashes of brilliance in big games like our all-important away leg at Udinese. And who can forget his magnificent assist for van Persie against Dortmund at the Emirates. Once again, the moment a player seems eager to leave the club, fans begin to rally against him. It’s admirable but perhaps a bit naive in modern football. Tweeting that Song can “f*ck off to Barcelona” or “if he doesn’t want to be at the club then we don’t need him” sounds great. It’s a proper supporter’s attitude. But it doesn’t come close to acknowledging the fact that Alex Song, for all his character flaws, started 64 Premier League games at the heart of Arsenal’s midfield the last two seasons. You don’t just casually throw that away. Especially when you’re not entirely sure how to replace it. Song gets criticized for failing to sit in front of the back four like a true holding midfielder. But I’m not convinced that’s even his true role. Certainly some degree of discipline is required from the Cameroonian, but he’s definitely not expected to stand in his own half waiting to destroy attacks. He’s part of our “double pivot” in midfield. He’s meant to press the ball in the opposition half, taking turns pushing forward with his midfield counterparts. Even when we had the likes of Gilberto Silva and Vieira at the club, nether was expected to merely protect the back four and I don’t believe Alex Song is expected to do that either. Having defended Song, I will readily admit that there are flaws in his game. He gives away idiotic fouls and turns the ball over at inopportune times. Sometimes he seems to switch off and he tries too many Hollywood passes when the simple pass is the better option. I think some of that tendency is down to the lack of creativity in our midfield last season, but it still wasn’t helpful. However, that doesn’t mean that we can afford to just discard Alex Song. All you have to do is look at our record when Song didn’t play the last two seasons and you’ll see that we aren’t a very good team without him. As fans, sometimes I think we forget the importance of continuity within a squad. A new signing is an unknown quantity. Sometimes they work out. Sometimes they don’t. In almost every case, they require some amount of time to integrate into the squad. Especially when they are new to the Premier League. New signings can significantly improve your side when they are brought in as an addition. But when they are brought in as a replacement, there can be a drop in performance, even if it’s only temporary, while they adapt to their new teammates and new style of play. Alex Song is certainly a replaceable player. We may even have players within the squad that can eventually be an improvement over Alex Song. But if we have ambitions of winning a trophy this season, I’d suggest that Song would have to be replaced with a new signing immediately. And even if he is replaced immediately with a quality signing, we will have to hope that our new midfielder is able to come into the side and perform immediately. Either way, it represents even more turnover within a squad that’s almost unrecognizable from the one we supported just two seasons ago. Consider that Cesc, Nasri, van Persie, Clichy, Bendtner, Denilson, Benayoun, possibly Song and Arshavin, and several others have left in just the last two seasons. That’s an enormous amount of change to a side over a relatively short period of time. And every one of the players I named was either a crucial member of the team or a relatively regular starter. It’s hard to maintain consistency with that degree of turnover. Especially when you consider that Arsenal’s style is supposed to feature an up-tempo, possession passing game that requires some degree of familiarity between the players. Let’s assume for a moment that Alex Song does leave and he’s replaced by someone who becomes a regular starter for us. 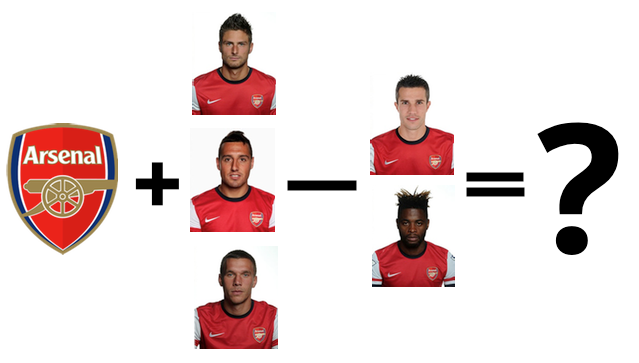 If that were the case, then our front six could regularly feature Podolski, Giroud, Cazorla and our new signing. That’s four new players in our front six. If you add Wilshere or Diaby into that mix then you have five out of the six players in front of the defense that essentially didn’t play for Arsenal last season. It could be incredibly exciting when you look at the talent. But it could also mean we suffer some real growing pains as the team learns to play together. Ultimately, if the summer ends with van Persie and Song out the door, I can live with it. I won’t like the fact that our captain left for United, and I won’t appreciate the timing of Song’s move. It’s never helpful to have a key player leave on the eve of a new season, let alone two. But with the business we’ve already done and the business we may still do, I think the team will be stronger this season than last. Whether it’s enough to see us make more than a small move forward may depend on how quickly our new signings adapt and what happens with our injury situation. Getting Wilshere back soon, and at anything resembling his best level, makes us a significantly better side. Keeping Abou Diaby fit for a season gives us crucial depth in midfield that we lacked last season. If Rosicky can come back playing like he did at the end of last season, then our embarrassingly poor midfield of a season ago may actually become the strength of the side. Especially when you consider that Ox should make a huge leap forward in his development and Coquelin looks to be a truly classy and exciting talent waiting to take center stage. Defensively we look mostly fit and full of talent, but unless Wenger is planning to buy a full-back in the next few weeks, we’ll need Sagna back soon and for most of the season. Our fortunes this season may be closely linked to his recovery. Considering what his presence means to a player like Theo Walcott, and what happens to us defensively when we try to use our center-backs as full-backs, Sagna’s injury situation might be the most important at the club. I have no doubt that we’ll score goals this season. Even with van Persie’s departure there’s reason to believe we can be more potent this season, and we’ve really never struggled to score since Wenger arrived at the club. I also have no doubt that we’ll concede goals. We have some good defensive players individually, but our tactics mean that they are too often outnumbered defending counter-attacks. Whether you love or hate Alex Song, his departure isn’t going to improve our defensive record, even if he’s properly replaced. We weren’t particularly deep at his position and losing him doesn’t improve us. Perhaps we’ll add a player who focuses more on his defensive duties, but no player can play every game at this level. But I don’t think we’re hopeless defensively. My belief is that our improved midfield will take better care of the ball this season. If we have fewer turnovers and don’t get dispossessed so often, then we’ll face fewer counter-attacks. That’s what lead to so many of the goals we conceded last term. We were actually much improved in our set-piece defending and I don’t see any reason why that shouldn’t continue. Cut down on the counter-attacks and we may significantly cut down on our goals against. So now it’s time to guess what will happen this season. It’s hard to ignore the loss of van Persie and probable loss of Alex Song when considering what to expect from Arsenal in 2012/13. But I think there’s a huge element of a team’s success that comes from intangibles. What will Steve Bould bring to the side? What will it mean that we’ve moved out so many of the players that contributed to season after season of disappointing finishes? What will it mean to have a squad with an average age closer to the prime of their careers than the start of their careers? Overall, I think those intangibles can add up to something special. I think there’s just enough new blood, new ideas, and quality to make this the most exciting Arsenal side in years. In my opinion, it’s easily as good as the one that challenged for the title in 2007/08. Manchester City are a fantastic side but they have a lot of egos and proved last season that they are capable of a meltdown at any time. United are stronger thanks to us, but they have weaknesses defensively and have lost two players that carried them for an entire generation. Chelsea will be improved but there are question marks surrounding their manager (as always) and the balance in their squad. Those three teams are the only other sides that should have any chance to challenge for the title and I think we can be as good as any of them on our day. We will need depth to face the inevitable fixture congestion but I think we have just about enough quality now to handle it. The real question is whether this Arsenal side can show the necessary focus and consistency in every match they play. That, more than anything, is what has alluded Wenger’s teams during this difficult trophy-less period. I suspect that we do. We’ll soon see what this team has to offer, but it just feels like a different Arsenal side right now. An Arsenal side that I’m very much looking forward to supporting this season. And one that I believe can, if it all falls into place, can do more than just challenge for the title. I think this team may have a chance to win it. Football is back. Life is good. During the 1992 Presidential election, Bill Clinton uttered the now famous words, “it’s the economy, stupid.” That phrase came to symbolize his campaign. He defeated the incumbent George H. W. Bush by keeping the focus of the election squarely where it belonged; America’s struggling economy. Today, that famous phrase could be applied to Arsenal and the summer ahead, but with one simple alteration: it’s the midfield, stupid. Robin van Persie is Arsenal’s captain and best player. Indeed, he was the best player in England this season. For that reason, it is completely understandable that his decision whether to remain at Arsenal dominates the discussion among supporters and media alike. But it probably shouldn’t. Because whether RVP stays or goes, one thing seems clear, Arsenal won’t win anything unless the midfield is dramatically improved. There were a lot of claims this season that Arsenal were a one-man team. Some of those claims are fair when considering that van Persie scored the overwhelming majority of Arsenal’s goals, and provided the second most assists on the team. But that’s not entirely unique. In season’s past, Thierry Henry was similarly important to Arsenal’s goal tally. Even Emmanuel Adebayor “carried” the team in 2007-2008 when he scored 29 goals in 41 appearances. In 2006-2007 when Arsenal’s goal scoring was evenly distributed among five players in double digits, the team finished a distant fourth and scored only 63 Premier League goals, a meager total under Wenger. This season, Arsenal managed a relatively healthy 74 goals in the league, despite having only one proven goal scorer. And when you look at other successful teams throughout Europe, it is not uncommon to find a single goal-scorer that stands above the rest. There is no denying that RVP was essential to Arsenal’s success this past season. But if RVP was the best player in England, and he never missed a single Premier League fixture, then why were Arsenal only able to finish in third place, a distant 19 points off the title? Why wasn’t his epic season enough to carry Arsenal to a title challenge? It’s fair to point out that the two Manchester clubs set a blistering pace and finished with impressive point totals. But it’s also fair to point out that our defense was atrocious. Arsenal finished with only 3 fewer away goals scored than City and two fewer than United. Yet we conceded an astonishing 15 more than City and 18 more than United. That’s in just 19 games! Even removing the whopping 8 goals conceded at Old Trafford, the gap is sizable. So let’s assume that RVP hadn’t had his epic season. Let’s say that he had scored a more modest 22 goals. That still would have left us even with Sp*rs and one ahead of Chelsea for Premier League goals scored this season. But if that decline in RVP’s output had been matched by a goals-against tally that was more consistent with Arsenal’s title winning sides, we could’ve been genuine contenders. After all, the Invincibles scored one fewer goal than the 2011-2012 side. But they conceded an astounding 23 goals fewer. Perhaps you’d rather compare to a slightly less extraordinary Arsenal side. Well how about the 2007-2008 side that fell just short of a title? Same 74 goals scored. 18 fewer conceded. And Chelsea’s title winning side that managed an impressive 95 points in 2004-2005, scored only 72 goals, but conceded a meager 15 the entire season. All this unscientific statistical analysis is making my head hurt. But the conclusion I draw from it is that RVP’s goals were so important to this Arsenal side because the defense was so lousy. Had we defended with even the slightest competency for most of the season we could’ve coasted to third with even a pedestrian goal tally from our captain. So as far as I’m concerned, if we want to get back to the top of the heap, we need to stop shipping goals faster than John Terry changes outfits. And if that’s the case, why have I said that we need to focus on improving the midfield? Because, in my opinion, that’s where the problems begin. We have a better ‘keeper now than we’ve had in years. Whether he’s the finished article is another story, but he’s already better than Almunia. Our defense might not be the best in the league but there’s loads of talent there. Sagna is one of the best right-backs in the world defensively. Most of us rate Koscielny, Vermaelen and Mertesacker. That’s not to say they’re all world beaters, but they are certainly competent defenders. And Santos and Gibbs have performed admirably this season for the most part. So why is this defense shipping vastly more goals than sides that routinely featured Silvestre, Djourou, Squillaci, Eboue, Traore and Almunia? It can’t be down to the quality of personnel alone. I think it’s interesting that Arsenal dramatically improved in one defensive area this season over previous campaigns. Our percentage of goals conceded to set pieces dropped considerably. I think that’s one statistic where the quality of your defenders and goal-keeper is really on display. Ball into the box. Their attackers versus your defenders. Easy way to see how you stack up. In the past we stacked up poorly. This season we were much better. And I think that’s due to the upgrade in quality at the back. But Arsenal conceded an avalanche of goals this season from open play. We conceded the worst percentage of goals to shots allowed in the entire league. And that’s where you start to see the problem. This Arsenal side was constantly caught out of position and outnumbered at the back. We didn’t concede goals because we had poor defenders and a weak goal-keeper. We conceded goals because those defenders were often left horribly exposed and the opposition was repeatedly gifted the easiest of chances. In my opinion, that’s down to the midfield. Arsenal used to have Vieira and Gilberto Silva in midfield. They were disciplined, reliable and rarely out of position. If you wanted to score against Arsenal, you had to get past them first. But we also had midfielders that used the ball intelligently. We had midfielders who could be trusted to retain possession and create scoring chances. This season, that changed. Arsenal created very little from midfield this season. It’s easy to point to Alex Song’s assist total to discredit my argument. And you’d be right to some extent. Alex Song did provide an impressive 13 assists in all competitions this season. But that’s endemic of the larger problem. Song was depended upon to push further and further up the pitch as the midfield struggled to create chances. He became increasingly encouraged to try low percentage passes as the attack stagnated in midfield. Rather than maintaining his discipline and focusing on his defensive responsibilities, Song was often deep in the opposition half trying to fashion a scoring chance. Alex Song completed 84.3% of his passes this season. That was the worst percentage of any regular Midfielder. But he attempted the second most passes on the team behind Arteta, who lead the team in completion percentage. That means that our defensive midfielder was playing plenty of passes that went astray. He was also dispossessed more than twice as much as Arteta and had nearly double the turnovers. I am a huge fan of Alex Song, but there’s no denying that his forays up the pitch and his carelessness with the ball caused plenty of problems for our defense. It’s not hard to think of an example to support this theory. You need only look back to Norwich’s third goal in that nearly devastating draw at the Emirates just a few short weeks ago. It was Song’s needless Hollywood pass that gave the ball to Norwich in an excellent position to catch out our defense. Only moments later, the Canaries were level. And we saw plenty of examples like that throughout the season. Aaron Ramsey is another player who has to take his share of the responsibility. Again, I’m a big fan of Ramsey and I believe he has a bright future ahead of him. I don’t believe Arsene Wenger ever expected him to play as much football this season as he did. But one way or another, Ramsey started at the heart of midfield 27 times for Arsenal this season, and made another 7 appearances from the bench. He contributed some grit and determination at times, but more often than not, he contributed scoring opportunities for the opposition. It’d be easy to point to Ramsey’s paucity of goals and assists as the biggest flaw in his game. But more concerning is the fact that he comfortably lead the team in average times dispossessed per game, and was second in turnovers. Arsenal play an attack-minded brand of football. It’s not uncommon for both full-backs to be in the opposition half. So when the ball is lost in midfield, it’s easy for the opposition to counter. For that reason, there’s a lot of pressure on the Arsenal midfield to make good decisions with the ball and be strong in possession. Ramsey and Song too often failed to provide that reliability and it was our exposed defense that frequently paid the price. The one shining light in midfield this season was Mikel Arteta. He was reliable, hard-working, and rarely gave the ball away in a bad position. As I mentioned, he lead the team in pass completion percentage, was dispossessed 61 fewer times than Ramsey, and had 37 fewer turnovers. He was the glue that held a weak midfield together. He was so crucial to the operation of the midfield and the fortunes of the side overall, that the only Premier League game Arsenal won in his absence was on the final day of the season thanks to comical goal keeping from Martin Fulop. And without Arteta, Arsenal managed only one clean sheet, at home to Chelsea, when they rested most of their best players. Even if you want to count Benayoun, he’s probably off this summer, and really wasn’t ever deployed in midfield. Frimpong is out with a long term injury. Diaby might well have to retire if he can’t find fitness soon, and there’s some legitimate concern about whether Jack will be back for the start of next season. How can a team so dependent upon possession and attacking football possibly expect to mount a challenge for any silverware with five fit midfielders? To be fair, it’s hard to expect that the midfield would’ve been very good this season after last summer. Cesc Fabregas lead the major European leagues in chance creation year after year. His departure was bound to create a hole in the middle of the park that was going to be difficult to fill. And while Samir Nasri was inconsistent and rarely played in midfield, he would’ve at least given the boss another option had he stayed. But even more important might’ve been the loss of Jack Wilshere. Wilshere’s absence forced Ramsey further into the spotlight. Jack’s work rate was something Ramsey couldn’t match. And Jack’s ability to receive the ball from the defense and move into attack without losing possession was something we desperately lacked, especially when Arteta was unavailable. I’ve heard some supporters suggest that Arsenal employed a “double pivot” in midfield. I could see that working with Cesc, Jack and Song in the side. Cesc was able to take on most of the creative duties and occasionally get support from either Jack or Song. But with Ramsey replacing Jack, and no one really replacing Cesc, the strategy failed. It lacked both creativity and defensive discipline. That deficiency was even more obvious when Arteta was out of the side. Arsenal’s three man midfield desperately depends upon a dominant playmaker. There has to be that “quarterback” who runs the attack and sees the entire pitch. When cesc was in the side, he could take the ball anywhere in midfield and create a scoring opportunity. He linked well with the attacking trident and read their movement intuitively. That allowed Wilshere and Song to do more of the “dirty work” in the center of the pitch, while occasionally supporting the attack. Without Cesc, there was no one who could be depended upon to start the attack in midfield. And without Jack, there was a noticeable lack of energy and tracking back. Song pushed higher up the pitch but couldn’t do what Cesc did. Ramsey hung back at times, but couldn’t keep the ball or defend like Jack. Arteta was strong in possession and added some discipline in midfield, but had so much responsibility to cover for the other two, that he rarely linked up with the attack. All-in-All the midfield lacked dynamism, yielded possession too often and exposed the defense to frequent counter attacks. Tomas Rosicky’s resurgence in form helped add some drive to midfield and I don’t think it’s a coincidence that he started 8 of the 9 games in our late season winning streak. 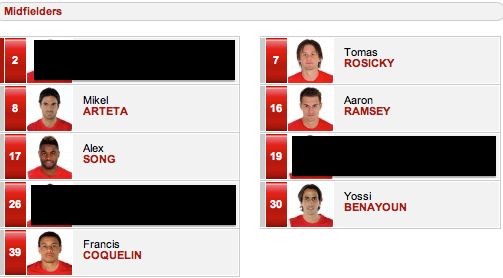 But once Arteta picked up his injury, and Ramsey was forced to replace him, the midfield was exposed once again. If it sounds like I’m being overly negative, that’s because I am. But only in the sense that I think there’s an excellent Arsenal team waiting to blossom if we can get the midfield right. Alex Song needs another dependable holding midfielder in the side. Not only to partner with him, but to compete with him for playing time. Moreover, Arsenal need to replace Cesc. At least we need to try. There’s no Cesc Fabregas out there for us to buy, but there must be something similar. Juan Mata would’ve been a start, but that’s spilled milk at this point. Wenger needs to find someone who can play at the top of the midfield, play those killer passes into the attackers, and add some goals when the opposition defense gets pulled out of position. Finally, Arsenal need Jack Wilshere to come back and pick up where he left off. I’m a believer that Wilshere is the best player at Arsenal. Not the best player after RVP, just the best player period. What he did against Barcelona at the Emirates was nothing short of astonishing. But I think that’s the level he can provided on a regular basis once he’s back and fit. And if that’s what he can contribute, then his importance to this side cannot be overstated. But the reality is that the deficiencies in midfield aren’t minor. Even if Jack comes back for the start of next season, and even if you have confidence in Coquelin to continue his development and Ramsey to improve dramatically, that still only leaves us with five midfielders. There’s still a lack of creativity in that group and uncertainty about their ability to keep the ball and support the defense. All the attention is on whether we keep RVP or not, but if we don’t make a few major additions to the midfield, keeping RVP is unlikely to dramatically change our fortunes. If we do makes some quality additions to the midfield, however, I believe that Arsenal can contend for trophies next season. Maybe even without our Dutch master. Have you heard the one about Arsenal's bright future? A few weeks ago, we might have been lamenting how dependent we would be on our young players this season. Chamberlain, Ryo, Coquelin, Jenkinson, Miquel and even Afobe looked like they might all be called upon often during this campaign. But with five experienced players arriving just before the transfer window closed, our youngsters no longer look like they’ll be needed as often. On Saturday, our starting XI will average closer to 30 years-old rather than 20 years-old for the first time in a while. That should mean that the Carling Cup will return to its former status as a showpiece for our future stars. Ryo, Chamberlain and Jenkinson might still have the occasional role to play in the Premier League and even the Champions League, but my guess is that we’ll get our best chance to see them shine in the League Cup. Personally, I look forward to it. Considering what we went through with that particular domestic cup last season, I’m more than happy to see the manager use it as a chance to blood new talent this time around. Even though we reached the final last season, I don’t remember enjoying the Carling Cup as much as I did in seasons past, with the exception of our fantastic win at Sp*rs. Now it should be fun again. Nothing much else to discuss today, but that doesn’t mean the blog is done. Now comes the part of the blog you put in your ears. It’s like an audio blog if you will. If only there was another way to describe it. Like a conversation about arsenal broadcast from an internet pod. As if people were inside a pod while broadcasting. Oh well, someone will come up with a word for that sometime. Please head over to the Arse2Mouse site where Mr. Arse2Mouse has been kind invite to invite me onto his “internet pod broadcast” along with Dave Meiks. You can find the conversation at the link below. It should appear there some time today. I admit that I was both hungover and sleep deprived so I was a bit crap. But the other two gentlemen were brilliant. Enjoy!